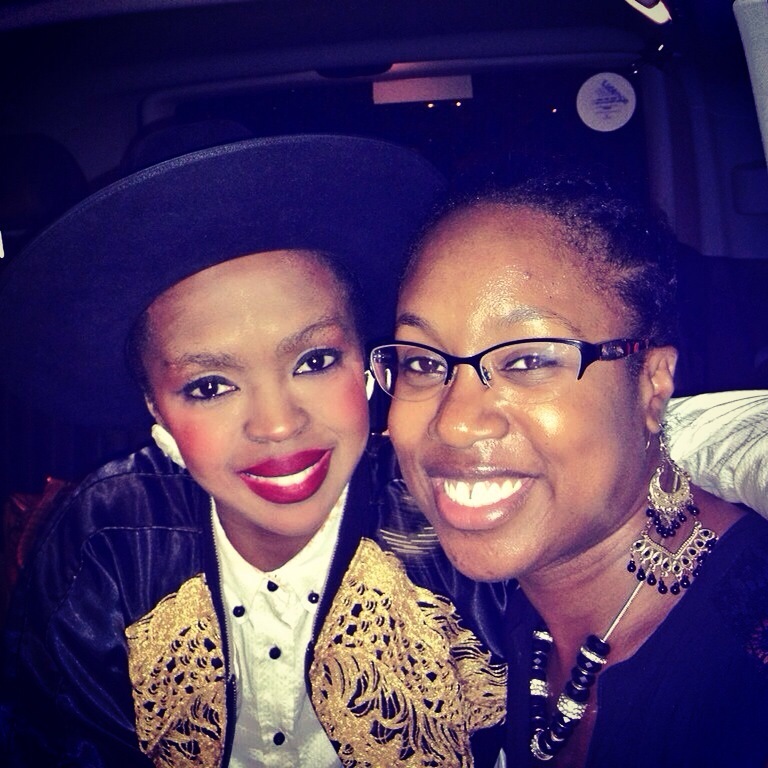 I’ve had a few days to digest the recent concert in Birmingham of Ms Lauryn Hill. The lady that helped to deliver two Fugees albums, produced what is in my opinion the best album of all time – The Miseducation of Lauryn Hill which she won 5 grammy’s for and also not forgetting her last offering – MTV unplugged album. Negative press seems to follow Ms Hill, in an attempt, in line with some of the biggest conspiracies of all time, to bring this unique artist down and out. I on the other hand have never been too phased by the backlash that follows her. I am aware that this unconventional artist is most likely berated because she refuses to conform to pressures from the media and entertainment industry to be more puppet like and to do what the other black female music artists do. We’ve become so used to expecting an award winning spectacle from singers, with half dressed women gyrating in front of children, fornication being the sole message and the product being packaged in a way that could be deemed harmful to a whole generation and beyond. What I like about Lauryn Hill is her daring to be different and non conformist. Her passion for what she does and her organic and laid back approach to her artistry. Her music does all the talking. It doesn’t need to be dressed up in any way to cover up any shortcomings. Her concert in Birmingham was everything I had expected from a performer who really is all about the music. Her eclectic and diverse mix of indie, rock, hip hop, reggae and rnb infused songs constantly kept me on my toes. I didn’t go to her concert to hear exactly what she did on her last album, I went there to hear what this amazing artist had to offer her audience. What she offered up was a clever and mind blowing remix of her classic hits with a few of the best covers of Bob Marley tracks I’ve ever heard. The way that Lauryn commanded the band during her performance was a clear indication that this is a woman in control of her own destiny. Many have slated the concerts in both London and Birmingham and had no respect for what this gifted songstress wanted to express on the day. I for one will always respect the God given talent of Ms Lauryn Hill. I don’t feel that she owes me anything and would never feel that I am entitled to dictate to her what she should and should not sing at her concert. For those who complained at what time Ms Hill came on stage or the choice of songs Ms Hill chose to do, I would say that you must remember that you don’t own her on account of the fact that you paid for a ticket to her concert. You are there to hear her do what she wants to do to express her musicality in Her own special way. Her concert is an experience that should be respected for what it is rather than what you feel it should have been. This is the woman who gave us the Miseducation of Lauryn Hill. Arguably one of the most critically acclaimed albums of the 90’s if not ever. This is the lady who made history becoming the first ever woman to be nominated in 10 different categories for the Grammy awards and eventually walking away with 5. This is the woman who chose to put her children first and step away from the spotlight in order to dedicate her time to them. She has and always will be an inspiration to me. Our eldest sons both share the same name so I always knew that one day our paths would cross. Never did I imagine it would be in the back seat of her car! I spotted Ms Hill following the concert as she was about to leave the venue. Her car was surrounded by around 100 fans desperate to get a photo with her. I was amazed at how Ms Hill reacted to the crowd, she did not once display any diva, arrogant type behaviour. In fact, on the contrary, she was very calm and willing to take a photo and have a chat with every individual around the car. When my turn came I was able to fulfil a life time ambition in sharing with her my respect for her as a music artist. I was humbled by her friendly and caring nature as she put her arm around my shoulder to pose for yet another photo. This is a woman who deserves our respect not our condemnation. We must shy away from thinking about her in the way that the media and the music industry wants us to view her. The picture they paint of her is not a true reflection of the character I met on the back seat of her car, if only for a few brief minutes. I pray that for Ms Hill, what God has meant for her will include love, unity and freedom just as she sings and raps about in her songs. I also hope that one of the most talented lyricists ever to grace this planet will never conform to sell more tickets, will never stop expressing how she feels on that given day and will one day be able to introduce her son Zion to my son Zion!